In an effort to organize my link list and make it easier to find what you're looking for, I set up another blog for this sole purpose. You can find a link to the new blog in the sidebar. Since Blogger is a free service, I don't have the option to include another page, so this seemed like the best solution. In upcoming days, I'll try to make things even easier to navigate. If I inadvertently deleted someone from the list, please let me know. Here is a link to my list. Some people have emailed me and suggested that I read the books by James Krenov, George Nakashima, and Eric Sloane, but I'd like to hear your recommendations as well. What books are your must-haves and why? With the useasonably warm weather we've been having, my thoughts are turning to spring. 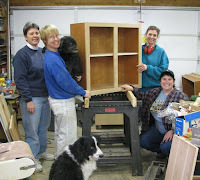 And every spring, I take an inventory of and vow to complete the mountainous list of unfinished projects in the house. 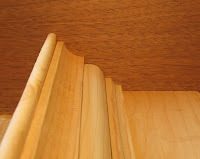 One project, a tall bookcase built and installed a year and a half ago, has yet to receive its crown moulding. It's functional and loaded with books, but it was never meant to have a pine accent piece along the top edge. 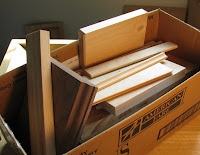 A few years ago, any time I had to cut moulding, I started dropping offcuts into a box. Now when a project calls for crown moulding, rather than sketch something or refer to books, I stack a few pieces together until the right look is achieved. 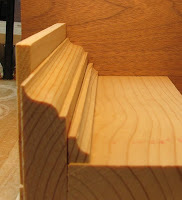 It helps if you have pieces with the moulding profile cut along one edge and one end. That way, you can see how it will look on the corner of your projec t.
You can also view the stacked profile by using a board of contrasting color as an upright stop. 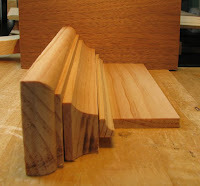 Since the box o' moulding is now sitting on my workbench and staring at me, I have no excuse not to finish that bookcase . . . unless, of course, winter decides it's not through with us yet. Years ago when my partner and I were young and fit, we used to go mountain biking. This being Pennsylvania, we have some impressive trails—hilly and circuitous. And although I played sports my entire life—racquetball, volleyball, and fastpitch softball—and my partner did not, she could blow me away on a mountain bike. Because she didn't try to control the bike's every move; she melded with it. And she would fly. My view on the trail was either the dust in her wake or the blue, puffy-clouded sky . . . because I was laying on my back, having gone over the handle bars. Last week in my woodturning class as I was using my arch nemesis—the parting tool—the instructor peered over my shoulder and tapped lightly on the knuckles on my right hand. They were dead white. "You can't turn with a grip like that," she said. It was my mountain bike grip. Aha. Therein lies the problem. I've been trying to control my tools so rigidly, they've been fighting back. So I asked my partner to explain to me her mountain biking technique. She said, "You have to relax and become one with the bike. You have to keep everything loose, unlock your joints, keep calm and let the 'chi' flow through your body." "What's chi?" I giggled adolescently. "'Chi' is energy, one's life force." 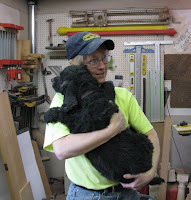 So I thanked Yoda and resolved to change my approach to woodturning. I thought of the sea turtles in Finding Nemo—the rad surfer-dudes who rode the East Australian Current. Mellow and laid back, they would literally go with the flow. "Be a turtle." I thought to myself in class this morning. "Become one with your tools." It worked. No gouged wood, no fisticuffs with the parting tool, and only mild sweating. There's a life lesson in there somewhere. And while I'm still at the bottom of the learning curve, there is one thing I'm good at . . . and that's turning eggs. 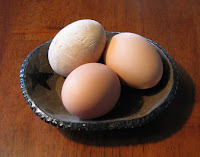 My first egg was so real looking, I put it in the refrigerator in a bowl of hard-boiled eggs. Despite the teeth marks from my dogs, who decided the egg was a much coveted chew toy, my partner packed it with 2 other real eggs and took it with her to work for lunch. Maybe she knows all about chi and melding and being calm and all that weirdo woo-woo stuff. But I know all about being an immature practical joker. 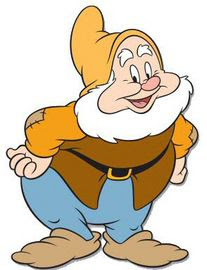 I don't know about you, but when I can't find adequate time to play in my shop, I turn into this guy. 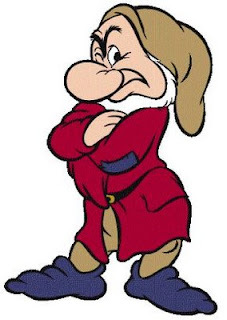 Since I haven't been able to work on a project for any significant length of time so far this year, I have grown a scowl, snow white beard, and furrowed brow. A Splintered History of Wood: Belt Sander Races, Blind Woodworkers & Baseball Bats, by Spike Carlsen. Every night, I read illuminating and entertaining passages about: wood collectors (the largest collection by an individual includes 7,000 species—only 73,000 short of all the wood species on the planet), Mira Nakashima, Jimmy Carter, chainsaw woodworkers, and the world's tallest living tree—the Stratosphere Giant—measuring a whopping 372 feet tall. What a fun read! It's written in short, self-contained chapters—each one covering some aspect of wood and woodworking: wood in music, sports, shelter, day-to-day life, war, transportation, and unusual places; and tools, unconventional woodworkers, and how trees survive and thrive. force in my life—a total rest for my mind." Currently, I'm perusing the chapter on whatzit tools and am learning about wedding saws and two handled sledgehammers. There's no doubt that I'm getting amusement, enlightenment, and knowledge from reading Spike's book. But maybe I'm getting something even more important: a happier disposition. 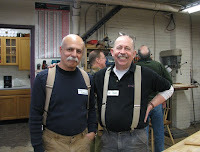 Mario Rodriguez and Alan Turner (left to right) of The Philadelphia Furniture Workshop, hosted a 2-day open house this weekend that featured vendors, demonstrations, and hands-on tool use. Fox Chapel Publishing had a booth filled with woodworking books and dvds. And the discounted prices were enough to make my grumpy friend, Scott, smile. Several [gorgeous] pieces of furniture that had been class projects were displayed within the work areas. Jigs, miter jacks, handsaws, power tools and wall hung tool cabinets that were filled with handtools & planes, provided some nice eye candy for event-goers. Joel Moskowitz of Gramercy Tools had his wares on display and also gave presentations on grinding chisels. He recommends creating a very slight camber on the wheel, so the corners of chisels don't overheat. 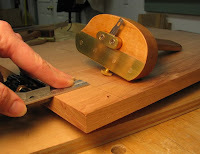 This way, you can concentrate on sharpening the middle, thicker section of the blade while the corners are not in contact with the wheel. He uses a 46 grit friable wheel which he dresses with a multi-tip diamond dresser. Bill Grumbine, who teaches woodturning classes from his shop in Kutztown, PA, and has produced two dvds, showed us some smooth moves on the lathe as he turned n atural edges bowls. Nancy Anderson, owner of Londonderry Brasses, Ltd., opened for business 11 years ago and offers period reproduction hardware, cast from originals, and imported mainly from England. Perusing her products, it's immediately obvious that they are exquisitely crafted. Harrelson Stanley and Jim Blauvelt, of Japanese Tools.com, exhibited an array of Japanese planes, saws, chisels, measuring devices and sharpening stones. 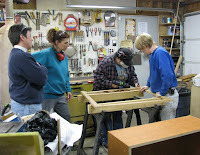 Jim worked at his bench while we woodworkers stood mesmerized. 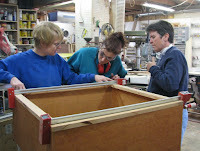 Mario gave a demonstration on making shaded fan inlay. A metal pan which was filled with sand and heat ed by a hotplate was used to burn the edges, thereby creating the shading for the pie shaped pieces. He made a template with compass and pencil and then cut the piece to fit. They were glued together with veneer tape, then trimmed to shell shape. 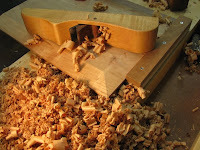 He then scalloped and removed the ends of each piece and cut contrasting wood to fit the spaces. These were also glued with veneer tape, then trimmed with a large, shallow gouge to final shape. 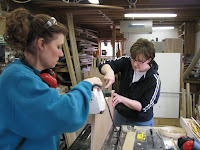 If you weren't able to make it to the show, tour the shop, and talk with other woodworkers, you might consider signing up for a class at PFW. They offer beginner and advanced workshops in a roomy, well-equipped space.